The problem I also see with the current reboot is the 11 minute episode structure. It works good if you are working on a comedy cartoon show but not always good with a plot driven show. If you try to make a plot oriented show you have to makes cuts to make it fit into 11 minutes or some cases make some rush jobs. @ultraalien And for some reason they even decided to structure the specials into 11 minute parts instead of just airing the entire specials in one full segment, which hurts the specials a little because even they ended up having pacing issues because of how they're split up into 11 minute parts. @tactical-ochoa I have been persisting for....hmm....i dunno, since omniverse! I've sent email after email, written essay after essay, and nothing happens. Nothing changes. I am sick and tired of wasting my time complaining. Seeing as we're stuck with this reboot, i'd at least like to look at the positives. There may not be many, but at the very least the show has some promise. Although season 2 was a disappointment, and the show could really use an overhaul. Ultimately, it now falls on MOA to listen, rather then us to restate the obvious. Buckle up y'all, we're going to Europe! As the reboot is headed down a slippery slope, i'd like to ask you all this question: How can MOA course correct this and put it back on track? Within the context of the show, i mean. @offbeatcat How can they improve the reboot show? @offbeatcat Christ, where to even begin with this show. Ok so in regards to how Man of Action can improve the Ben 10 reboot through season 3, there's a lot of things that would have to be done. First off would have to be the story. Season 3 CAN NOT be just another season where we get villain-of-the-week filler episodes followed by an around one hour long season finale split into 11 minute parts that have the closest to resembling an actual overarching story that we've been getting with the first two seasons. There needs to be an overarching story that spans throughout the entire season. Episode 1 of season 3 needs to introduce a major story plot and at least most of the entire season needs to stick to that plot. However, the problem with that is that season 3 is most likely going to be another 40 episodes that are each 11 minutes long. With so many episodes, there's a chance that the major story plot could likely end up dragging out and the 11 minute episode run time would likely create issues with the pacing...which we already saw with the first two seasons already. Therefore, I say that it would be better for season 3 to be somewhere between 10 and 20 episodes that each span a length of 30 to 60 minutes. Then there are the characters. Ben needs to grow as a character. His tendency often to cause situations to happen in the first place and to often make situations worse than they should be needs to go. Ben needs to have more maturity and responsibility in him. He can still be cocky and fun-loving but they need to tone that down and introduce more maturity and responsibility into him to balance that out. This leads up to Gwen. Gwen needs to put her foot down more and be more stern and serious whenever Ben is causing more shenanigans. That was one of the aspects about Gwen than made her at her best. She kept Ben in check. She kept Ben focused on the task at hand. Gwen being the voice of reason and being hard on Ben whenever he did something stupid helped Ben become a better character and hero. Her lacking that in the reboot is one of the major aspects about her that greatly undermines Gwen as a character. Tone down the comedic elements as well; especially in the action scenes. It's fine to have some comedic elements but there's too much of it in the Ben 10 reboot and it undermines the action scenes because it makes the action scenes feel devoid of tension and a sense of danger. They're action scenes. We should be getting the feeling that people's lives are at stake. We should be concerned for the well-being of the main characters. That can't happen if the action scenes often feel like a comedy act. Whatever unnecessary, toy-selling gimmick they're going to throw out next also needs to go. That is not a good way to add quality content to Ben 10. A gimmick is a freakin gimmick. Shock Rock was an example of that. He was an unnecessary alien to add to Ben's roster when there are already plenty of other, better, more unique and interesting electric and energy based aliens that have already been introduced in past shows that CN Studios and Man of Action could've easily brought back and would've worked out a lot better. The Omni-Enhancements were also just as much unnecessary to have around as the Ultimate Forms from Ultimate Alien. The real reason that Shock Rock and the Omni-Enhancements exists were to sell more toys. If what they plan to bring into season 3 is really only there just to advertise and sell more toys, it needs to go. If Man of Action wants to introduce better quality content to season 3 of the Ben 10 reboot, they could easily do this by providing a good story with well-written characters, tense and well-directed action scenes, interesting lore and world building, interesting and unique and useful aliens, etc etc etc. That's why the Original Series made billions in merchandise during its run and is still considered by many, if not most, fans to be the best show in the franchise. There's still many more aspects and elements of the Ben 10 reboot that need to be fixed and improved as well but this comment is already going to be long enough as it is and there's a lot that I want to save for when I plan to make my next article. Regardless though, I doubt that Man of Action and CN Studios are going to be able to do much to change and improve season 3 now. After season 2 finished production, production for season 3 started and that was a while back. My guess is that season 3 is almost done in production and going through with such a drastic revision is something that Cartoon Network isn't really going to favor much as it would put season 3 on such a significant delay and everything done up to now would be seen as a waste of time and resources, which to the CN executives means a waste of money. Considering that season 2 very much had the same issues as season 1 had, more issues with the writing were created, and very little improvements to the show were made, I don't see season 3 going to be any better than season 1 and 2. Most likely were just going to get more of the same stuff with season 3 and therefore more of the same issues. @tactical-ochoa I don't think you can do sophisticated writing with a show based on 11 minutes since the current Ben 10 Reboot is based around primarily on comedy. @ultraalien That's why I said that episodes need to be between 30 and 60 minutes long each. You can make good stories with 11 minutes but they would have to be more simple and not a lot has to go on because there's such a short amount of time. The more complex the story is and/or the more that's going on in the episode, the longer the episode needs to be. @ungrateful-wolf Yes because that's certainly something that Kevin, the show itself, and the franchise as a whole really needs. If Kevin really is going to have his own Omnitrix in the reboot, that tells me that it's most likely that he no longer has his original powers. If that really is the case, that means that Man of Action and the other reboot show writers are taking away one of the key aspects about Kevin that defined him at his best. That they're taking away a major component that defined Kevin as a character. That they're taking away what makes Kevin, well, Kevin. Yeah, given how the reboot show and its writers has treated and undermined every returning character (with the exception of Dr. Animo), I have a feeling that they're going to screw up Kevin as well. If Kevin does have his energy absorbing powers, then WHY DOES HE NEED HIS OWN OMNITRIX?! Yeesh, no need to be this negative. I know it can be upsetting for some, but damn. @ungrateful-wolf And as I said on the Tv Tropes forum (which I will paste on here), if Man of Action really intended for Kevin to have his own Omnitrix in the OS, ok then. Two things comes to mind though. One, will Kevin having his own Omnitrix really work well for him as a character and for the show overall? Part of me doubts that considering the poor writing and execution that usually plagues the reboot show. Two, why do you think Kevin ended up not having his own Omnitrix in the OS? Probably because the OS writers saw that it wasn't a good idea and wouldn't work for the OS, which just further fuels my doubt that this direction for Kevin will work in the reboot. These elements that didn't make it into the OS didn't make it into the OS for a reason. The OS crew knew that it wouldn't work well for the show. Stinkfly's original design didn't make it into the OS because the writers knew that it wouldn't work and the reboot prominently showed why it indeed didn't work for Stinkfly. Most fans and viewers that I've come across don't like Stinkfly's reboot design because it was a bland, generic, and out-of-place design that doesn't fit the fact that Stinkfly is an alien. That's one of the things about the reboot. Man of Action took pre-concept (or beta or whatever) elements that didn't make it into the OS and introduced them into the reboot forgetting as to why those pre-concept elements didn't make it into the OS. They weren't going to work well for the OS and the reboot proved that very point. With that taken into consideration, along with how the reboot show and its writers screwed up almost every returning character, I very much doubt that Kevin having his own Omnitrix is going to work. Looking at these factors, I find it more likely that Kevin in the reboot is just going to be like almost every other returning character being that he, too, will be a bland shell of his former self. Like I said, if Kevin having his own Omnitrix means that he's going to lose his energy absorption powers, then Kevin isn't Kevin. Kevin would lose something that defined him at his best and made him Kevin. If Kevin is going to keep his powers, then why does he need his own Omnitrix? If Kevin is going to keep his powers, then there's no reason for him to have his own Omnitrix because his powers would provide him with what having his own Omnitrix would provide, if not more. The way that I see it, Man of Action and the other writers put little to no thought into this. They implemented this very direction into Kevin while taking little to no consideration as to how this would actually affect and impact him as a character. @csgt Yes, the sequel shows certainly downplayed Kevin's powers, which is something that I wasn't fond of and found to not make much or any sense. Actually, no, Kevin's powers didn't really change in the sequel shows. Absorbing matter wasn't a change. It was an addition. Kevin's mutated form in Alien Force season 3 was more of a short term temporary lock to his powers than an actual, full on, permanent change to his powers (which was due to the Omnitrix, which also didn't make much sense to me). Once the original Omnitrix was destroyed, Kevin's powers returned to normal. That lock was lifted and Kevin was back to his old self. That's the most, and pretty much only time, his powers have ever changed. Other than the absorbing matter ability that was added to Kevin, his powers from the Original Series were at least mostly consistent throughout the sequel shows. Kevin's powers weren't really downplayed. Stuff was just added to them in a way that didn't make much sense to me. Kevin's powers had always been focused on absorbing some form of energy and mutating from absorbing too much energy. If the reboot writers are indeed removing Kevin's energy absorption powers in exchange for him having his own Omnitrix, then yes, Kevin having his own Omnitrix does change his power set. It does downplay Kevin's abilities because Kevin can no longer absorb energy, thus greatly limiting his level of power. If Kevin's Omnitrix does work the same way that Ben's Omnitrix does (which I'm guessing will most likely be the case), then that limits Kevin's capabilities. It nerfs Kevin into being somewhere around Ben's level (although, that is dependent on what aliens Kevin can use and whether or not he could splice them together into some amalgamation). Kevin having an Omnitrix limits his level of power to what he has access to; especially compared to Kevin's energy absorption ability, which allows Kevin to become more and more powerful the more energy he absorbs. It could kill at least most of the tension that comes from Ben and Kevin fighting each other because, again, Kevin having his own Omnitrix puts him around the same level that Ben is at, thus making Kevin less of a threat compared to him being able to absorb energy (although again, that is if Kevin's Omnitrix works the same way as Ben's Omnitrix, which I'm guessing is going to be the case in the reboot show). And your example with Quicksilver and Scarlet Witch is terrible. Like you said, the MCU changed their origins but not their powers. Their powers remain the same. Kevin's energy absorption powers being removed and replaced by him having his own Omnitrix does change his powers. In fact, Kevin wouldn't even have any powers. Kevin having his own Omnitrix would be like if Quicksilver's superhuman speed was taken away from him in exchange for having high tech boots that allows him to run fast. It would be like if Superman's powers were removed and replaced by Superman wearing power armor and a jet pack. Man of Action wanted for Kevin to be like how he was in the sequel shows. According to Duncan Rouleau here, Man of Action had always planned for Kevin to be an anti-hero, like how he was in UAF and OV. Given what Rouleau said, I wouldn't even be surprised if Man of Action make Kevin a good guy again...if he even is going to be evil in the reboot show. 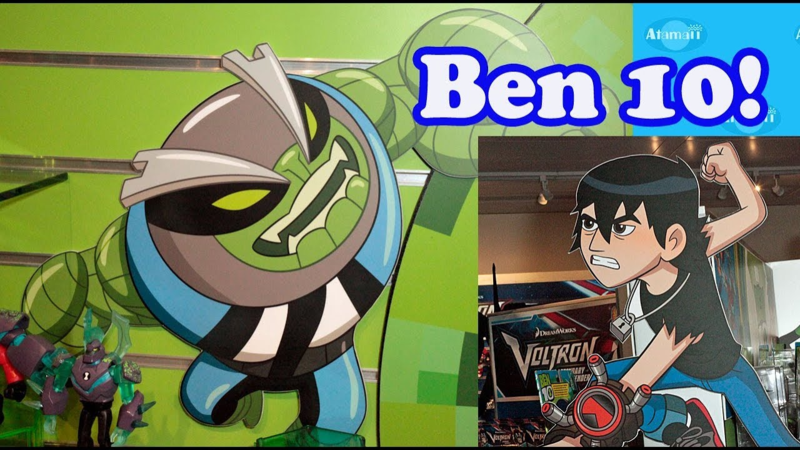 Also, Kevin doesn't need his own Omnitrix to further mirror Ben. They did that with Albedo and it didn't work as well as Kevin did in the Original Series. Albedo was just an evil Galvan with Ben's appearance and a replica of the original Omnitrix. That's not a proper, evil counterpart to Ben. Albedo was an entirely different character compared to Ben. OS Kevin was the true, ideal dark mirror image of Ben and OS Kevin never had his own Omnitrix during that time. Kevin paralleled Ben in some ways but also differed from Ben as well. Kevin was a reminder to Ben of what Ben could've become if it weren't for his first meeting with Kevin. Kevin to Ben was like The Joker to Batman. Ben's view of Kevin was like Luke Skywalker's vision of Darth Vader on Dagobah in Star Wars: Empire Strikes Back. Do you see The Joker don some sort of uniform or battle suit that looks similar to Batman's outfit? No. Do you see Luke Skywalker wear a full armored suit like Vader does? No. Objects don't always present two characters being proper opposites to each other and I don't find that to be subtle either. It comes down to the characters themselves and their personalities and traits, which I find has a better chance of being more subtle. When symbolism and whatnot is shoved into the viewers' faces, usually it could end up being seen as intrusive and insulting of the viewers' intelligence. I find it better to be more subtle and put confidence in the viewers to be able to figure stuff out. Kevin doesn't need his own Omnitrix in order to be a better representation of being a dark mirror image of Ben and the Original Series is proof of that. @csgt Regardless of what he actually does, Kevin still has those same powers. His power set still hasn't changed. Choosing not to use certain aspects of his powers for various reasons doesn't change his power set if Kevin is still able to use those very aspects of his powers...and he does. On occasion, unfortunately, but he still does absorb energy and mutate as a result of it. If a character can still perform certain abilities but doesn't actually use them most of the time, their power set is still the same because they can still perform these very abilities because their choice to use them or not is the only restriction (if you can even call it a restriction). If Kevin's mutation in Alien Force season 3 was say permanent, that would be a better example of an actual change in Kevin's powers/abilities. Kevin also does have a reason for not wanting to absorb large amounts of energy being that he doesn't want to mutate and thus be seen as a freak and he doesn't want to go insane, which not taking into account and context of Kevin in the Original Series, that does make sense. Kevin's power set in the sequel shows didn't change. What he actually does doesn't change what he's capable of doing. Yeah, it's almost like Kevin isn't a good choice to transition into a more heroic character due to him being a proper and actual representation of Ben's true evil opposite as well as what you say in this very quote. I understand that they want to differentiate Kevin from Ben. To me at least, it just didn't work. And no, using his own Omnitrix to take on different alien forms or create amalgamations is not the same as having the ability to absorb energy. The results are the same, or at least similar, but the process to achieve that result is very much different. In regards to Kevin as a character, having his own Omnitrix gives Kevin more control of his abilities, which doesn't fit in line with his mental instability and psychopathic nature...because it's the opposite of being controllable. In the Original Series, Kevin also stayed in his mutated state because of his powers. Kevin wasn't able to turn back to his normal self after he took on an amalgamated form. All that energy that Kevin absorbed stayed trapped inside of him and he wasn't able to expel it out. This further fueled Kevin's disillusions and instability, which is why Kevin blamed Ben even more for the very state that Kevin himself was in despite it really being Kevin's fault for it. Kevin having his own Omnitrix most likely doesn't provide that much complexity because, again, Kevin would have better control over it. No, Kevin didn't do anything else with his energy absorbing abilities to present himself as a bigger threat to Ben...because he didn't have to...because he absorbed energy from the Omnitrix. He doesn't have to do anything different other than his mutation because his mutation already made him ideally powerful enough to present himself as a bigger threat to Ben and that's all thanks to his energy absorbing abilities. Your example with Spider-Gwen is better. Granted though, that is in reference to Ultimate Spider-Man and the last time I checked, that show isn't really fond of by many due to there being many issues with the writing and storytelling and whatnot. I wouldn't be surprised if at least many or most fans and viewers took issue with Spider-Gwen having a high tech suit instead of having actual spider powers. Doesn't help Man of Action's case either since that they were involved with producing that show. Plus, Spider-Gwen's original powers were restored after that show ended. Gee, I wonder why? And yes, Sam Raimi's Spider-Man trilogy did portray Peter Parker shooting webs out of his wrist as opposed to him using web shooters. However, while it too is a better example to use (especially compared to your Quicksilver and Scarlet Witch example), it's also a much more minor example. In fact, it doesn't really change much about Peter's abilities. He just doesn't use web shooters. That's it. Pretty much everything else remained untouched as far as I know. Kevin on the other hand, we're talking about the possibility of him having all of his powers be removed and replaced by another Omnitrix. We're talking about changing one major aspect about Kevin that defines him and makes him who he is in favor of something that, to me at least, more likely doesn't fit Kevin as a character and possibly undermine him. And sure, non-subtle opposites can work as long as the execution is done well. Never said that non-subtle opposites can't work. I just find that subtlety is better than having it shoved in your face. In regards to the Flash and what I'm guessing is Mr. Shazam, I don't think their opposites are as memorable. Usually, from my experience, when it comes to what is considered as the best and proper opposites to each other in the DC Universe, most people point their fingers at Batman and The Joker. Again, it's as if subtlety is better. And yes, Man of Action can indeed find other reasons for Kevin to be bullied and to be rejected by his family and to keep his Original Series personality and whatnot. Would it have as much of an impact in the reboot as it did in the Original Series? I doubt it; especially considering how, as I stated before, Man of Action and the other reboot show writers undermined and screwed up almost every returning character in the reboot and how incompetent and lazy their writing often is. Here's the thing as well, my argument isn't about Kevin taking on alien forms and having an amalgamated form. I'm referring specifically to Kevin's original powers. I'm referring specifically to his ability to absorb energy because like I said before, that aspect about Kevin is such a major part of Kevin as a character. Again, Kevin's family rejected him because of his powers. Again, Kevin was bullied and seen as a freak because of his powers. Again, Kevin was mentally insane, mentally unstable, and psychopathic because of his powers. Again, his mutation and the further delusions that were created because of his mutation happened because of his powers. Almost, if not entirely, everything about Kevin pointed back to his powers. Kevin is a mutant. All these factors about Kevin in the OS makes him a walking doomsday scenario. A walking doomsday scenario who is obsessed with Ben and personally wants to make Ben suffer. If Kevin had his own Omnitrix instead of having his powers, then he's not a mutant. He's not some hybrid. He's just a normal human boy with an alien watch. If Kevin is going to be bullied, it's most likely not going to be due to him being viewed as a freak. Kevin being rejected by his family wouldn't make as much sense because they too will most likely not view him as a freak. Kevin's Omnitrix is most likely not going to cause Kevin's mental condition to worsen and thus make him insane, unstable, delusional, uncontrollable, unpredictable, and psychopathic. Kevin is most likely not going to find himself stuck in some amalgamated form because of his Omnitrix and how it's better to control compared to his energy absorption powers. I have a feeling that Kevin is going to be set up more like Charmcaster in the reboot in regards to his quality as a character. Even if he does keep his original personality, it would more likely just not have as much of an impact and not have as much complexity, uniqueness, and subtlety to it with Kevin no longer having his energy absorbing powers in exchange for him having his own Omnitrix. That it would be set up in a more bland and generic way much like with Charmcaster in the reboot. You should know what I mean by that. After all, you did read my review of The Charm Offensive. I find that the reboot version of Kevin, much like with almost every other returning character, will just end up being a bland shell of his former self. Just the notion that Kevin is just a normal boy who also has his own Omnitrix already sounds bland and less interesting compared to his OS version. It makes him too similar to Ben and not as unique on his own. Again, take away Kevin's energy absorbing powers and you take away Kevin as a character. Kevin isn't Kevin without those very powers. I don't think Kevin having his own Omnitrix will be enough to salvage what is lost while also properly innovating Kevin as a character. It's a risk that I find is not worth taking. I could be wrong though but Man of Action and CN Studios' track record with the Ben 10 reboot already doesn't make things sound promising. I wonder when Cartoon Network is gonna aired new episode clips of Ben 10 Reboot season 3? Will be January or February 2019?